Drawn from MoMA’s collections, a host of collages by Ludwig Mies van der Rohe are on display together for the first time at the Ludwig Forum in Aachen, Germany. The works provide a glimpse into van der Rohe’s design process, yet are also autonomous pieces of art. Displayed beside other artists of the 20th century, they place van der Rohe at the heart of the modernist movement. Made between the years 1910 and 1965, van der Rohe used these large-scale collages to visualise space, presenting them for competitions, exhibitions and journals and using them to explore his ideas and theories for Neues Bauern or ‘New Building’. 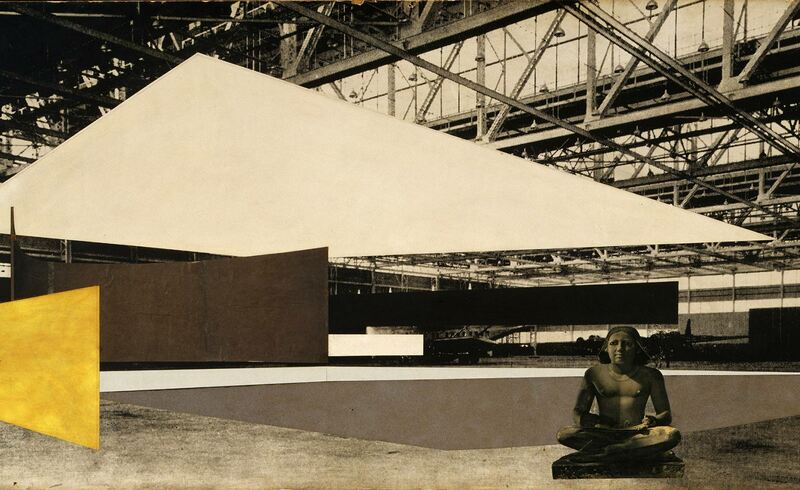 Combining illustration, sketches and photomontage, the collages are architecturally led, setting the principles of modernism with strong dimension-building lines and striking spatial concepts for interiors for built projects such as his Convention Hall in Chicago (1952–54) and also those that were never realised, such as Museum For a Small City (1941–43) and the Georg Schaefer Museum Project, Schweinfurt, Germany (1960–63). Along with a precise grasp on composition from his architectural training, his artistic aesthetic took influence from the 20th century movements of dada, constructivism, and De Stijl (van der Rohe was both friends with artists and a collector himself). The exhibition follows a chronological course, yet places his works in historical and artistic contexts, aligning them with contemporaries including Kurt Schwitters, Hannah Höch and László Moholy-Nagy, artists who were lifelong influences to his practice such as Paul Klee and Georges Braque, and practitioners who address his own architectural work, such as Thomas Ruff. Curated by Andreas Beitin and Holger Otten in collaboration with Museum Georg Schäfer in Schweinfurt, Germany, the exhibition will travel to Schweinfurt next, from 26 February – 28 May 2017.